This flower bloomed out by Ken Avant. It's a lovely first bloom. I have two seedlings of this, unflowered. I just e.mailed Peter a day or so ago about my "shortage" of unflowered seedlings from his breeding. 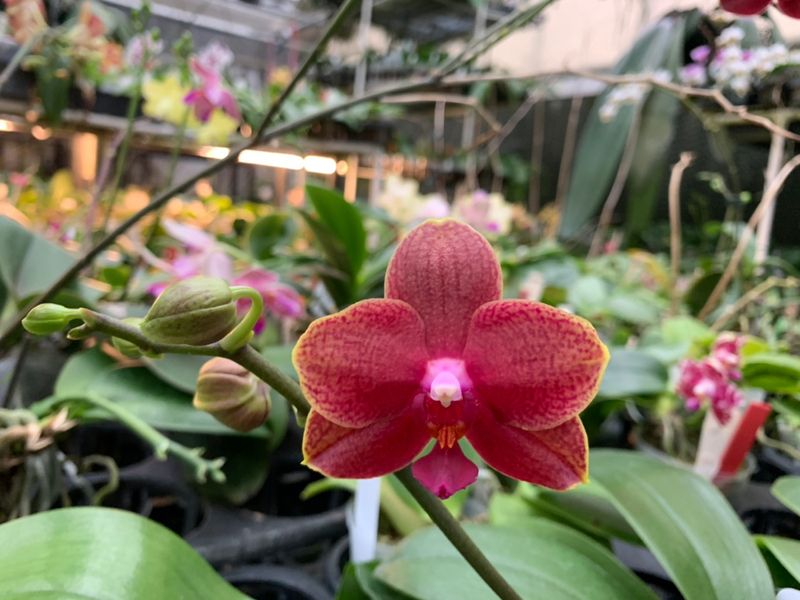 I *MUST* have unflowered seedlings: the anticipation of flowering first-bloom seedlings is, by orders of magnitude, my favorite part of growing orchids. Peter - I will e.mail you later about my next order and I do hope there are still some of these remaining. The two plants that I have are vigorous growers; you mentioned in the text for the seedlings that these would probably be 4n. Ken/Peter -- are we still thinking these will be 4n? 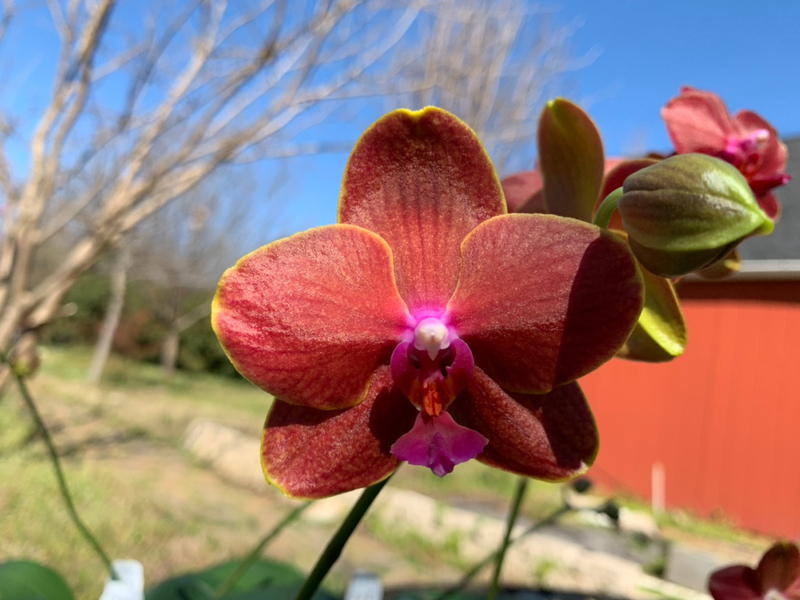 Congratulations, Ken -- an awesome first bloom and if it is indeed 4n, hmmmm…. 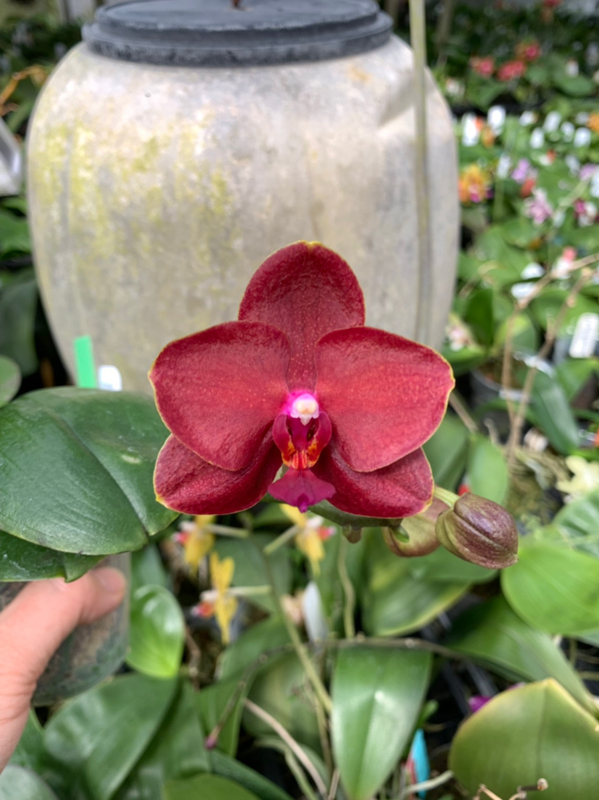 Phal Haur Jin Princess is a descendant from Phal Golden Peoker and Phal Ching Her Buddha. Both are known to breed both way. 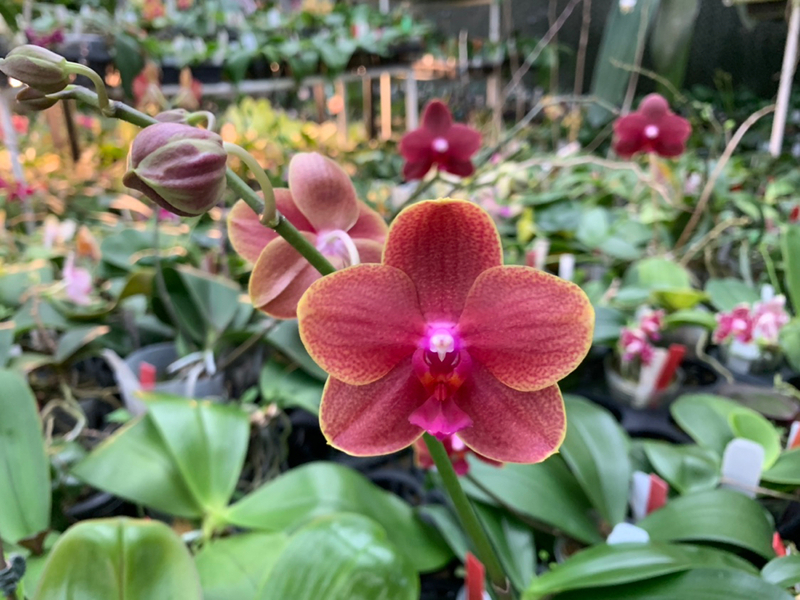 Immediate parents of Phal Haur Jin Princess are Phal Haur Jin Diamond and Phal Dou-dii Golden Princess - both are proven parents that breeds both way. hal Tying Shin Forever Love 'Orange Crush' - breeds both way - in this way used as pollen parent. Its immediate parents Phal Sogo Lawrence is a known 4n parents decent from Phal Brother Sara Gold. 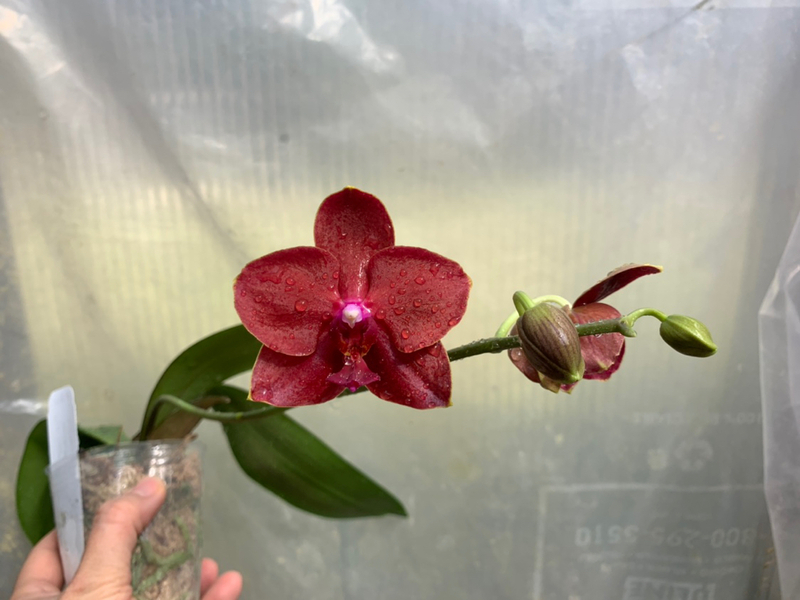 The other parent Phal Tying Shin Cupid has been used both way too by Tying Shin Orchids. We know here in the US we have confirmed 4n Phal Kuntrarti Rarashati (equestris x venosa). 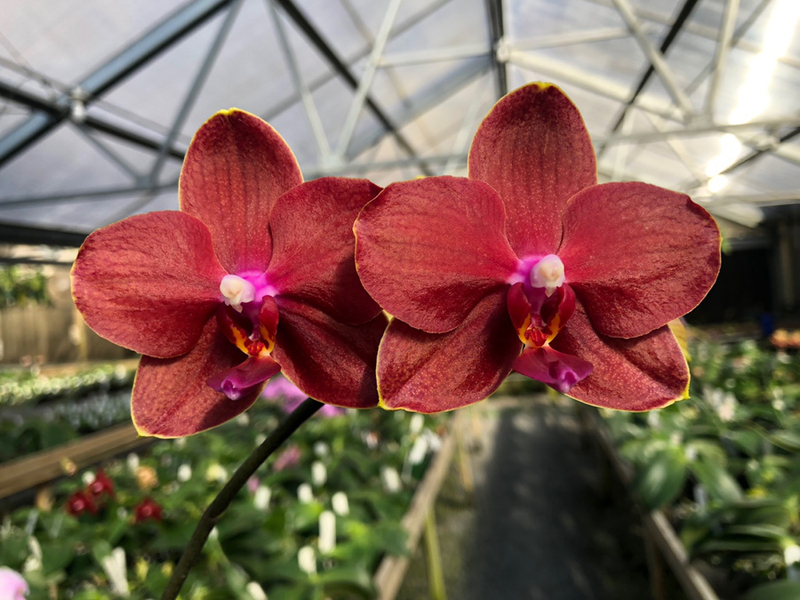 We did not know the ploidy of Phal Kuntrarti Rarashati used in Taiwan to make these beautiful orange-red multiflora. But over time we have seen these Tying Shin hybrid breeds both way - confirm that they are 4n. I will use one example. 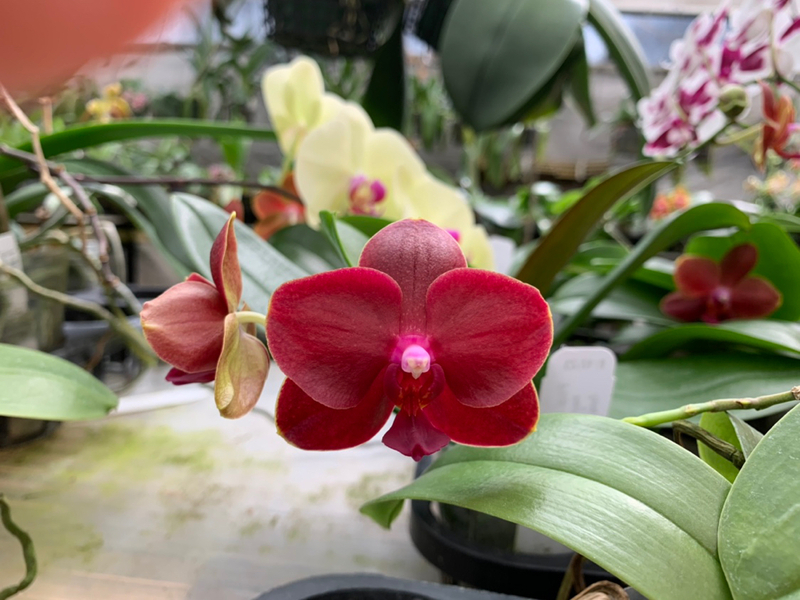 PHal Tying Shin Baby Smile is registerd where Chingruey's Fancy - larger red is used as pod parent, and Tying Shin Cupid is pollen parent. This hybrid seems to be very consistent so far. 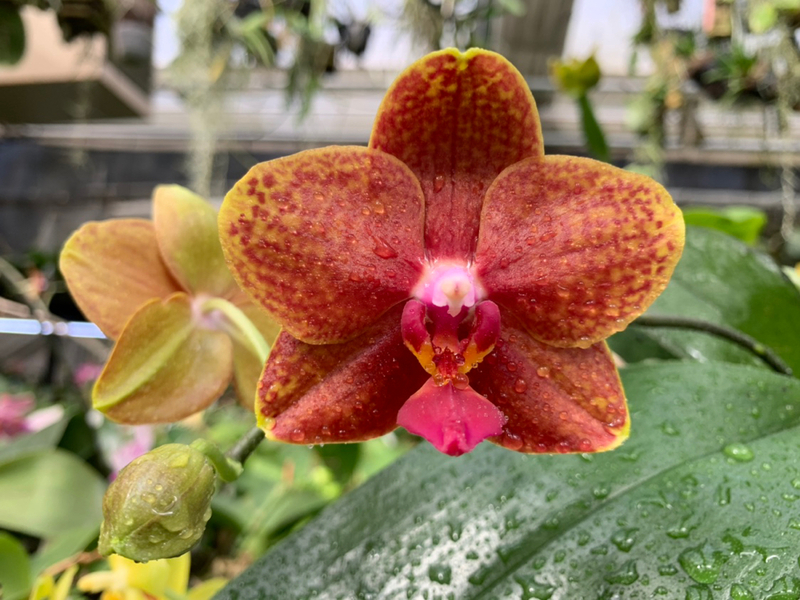 In a way they remind me of Phalaenopsis Sogo Lawrence hybrid. 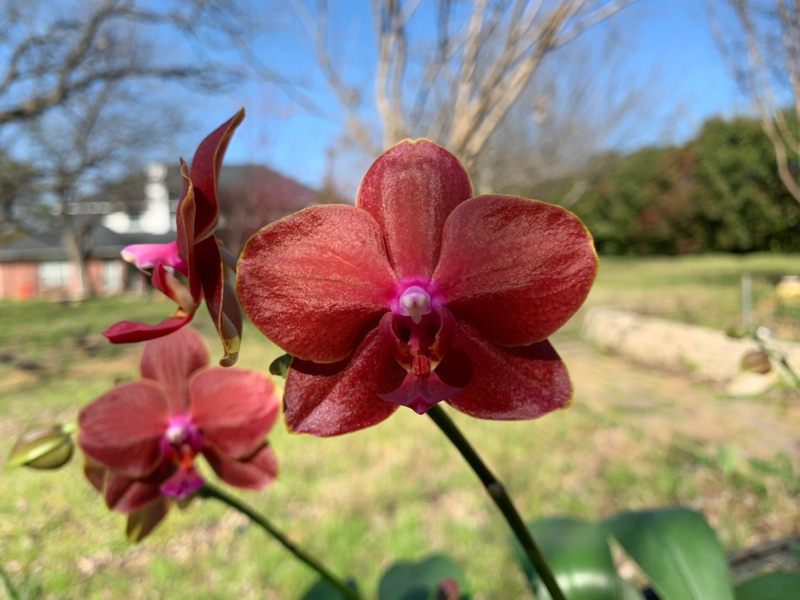 Phalaenopsis Sara Lee is quite dominate in its shape and size. This cross is getting even more interesting every day. I have one in spike now. The bracts on the spike are...red. The BRACTS? Hmmm. Major jinx alert. That silk texture is amazing set against the oxblood-red of the color. You must be very happy with the growing as well as with the flowers! I came home to find several plants flowering. This one looks like it has potential. It’s a bit dry so I think it can bloom better/flat next time. Gorgeous, Peter. What a promising 4n breath-through. I would happily use the more orange cultivars as parents as well. I still have my first, first-bloom in bud; keeping my fingers crossed. 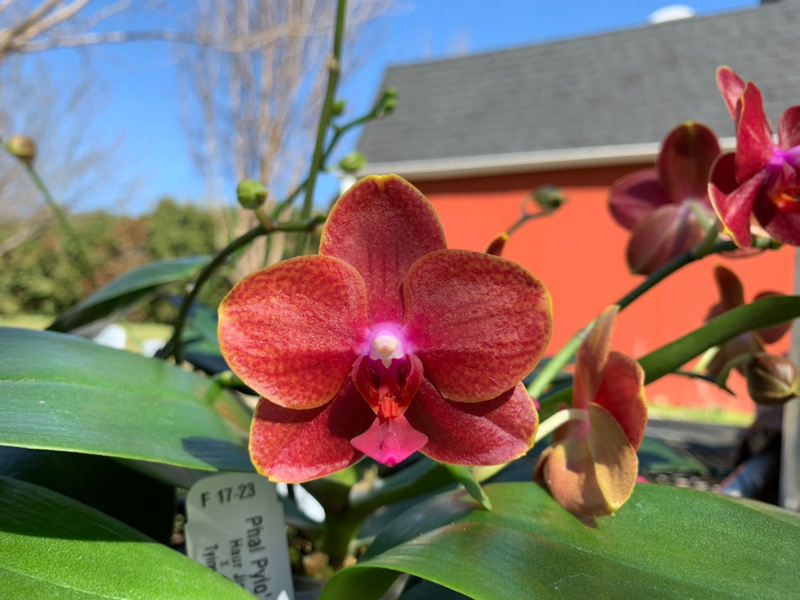 Coming home from Canada to more of Phalaenopsis Pylo's Flame in bloom. I like Ken's red one and yours with the orange in it the best. Peter, you've done it again. Gorgeous. You are the man with a golden toothpick. And to think that these are 4n! Like the watched pot that never boils, my only plant of this in bud just keeps staring back at me as if the bud will not grow if I keep looking at it 16 times a day. 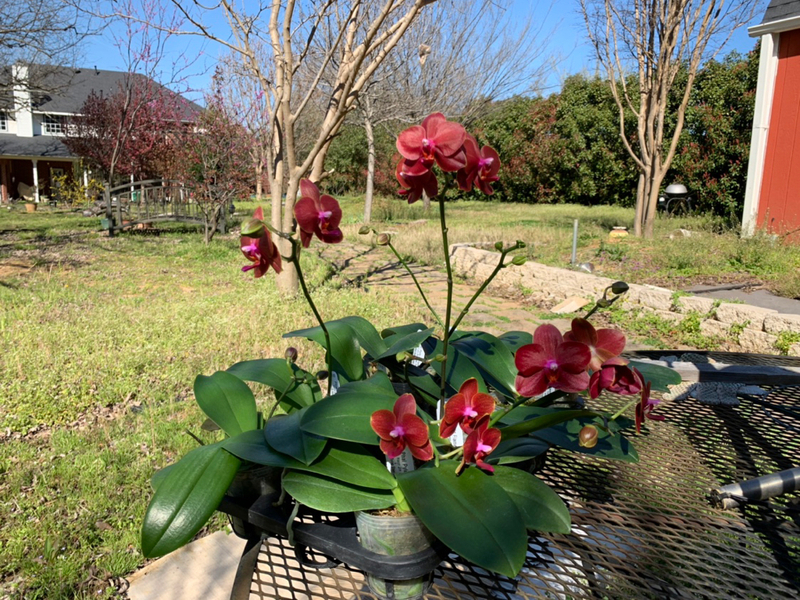 If I get lucky with it being a nice red one, I do have Miro Sun 'Jen 1' also in bud, but I don't want to put it onto Pylo's Flame until I confirm that the Miro Sun is virus-free. Do you know of any Miro Sun crosses that worked where the Miro Sun was the pod parent?